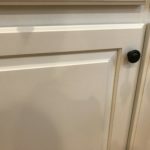 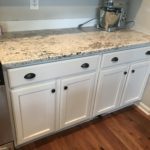 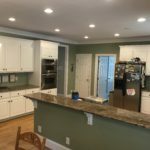 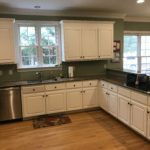 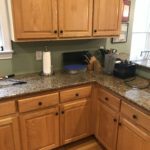 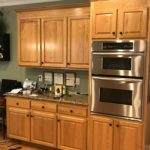 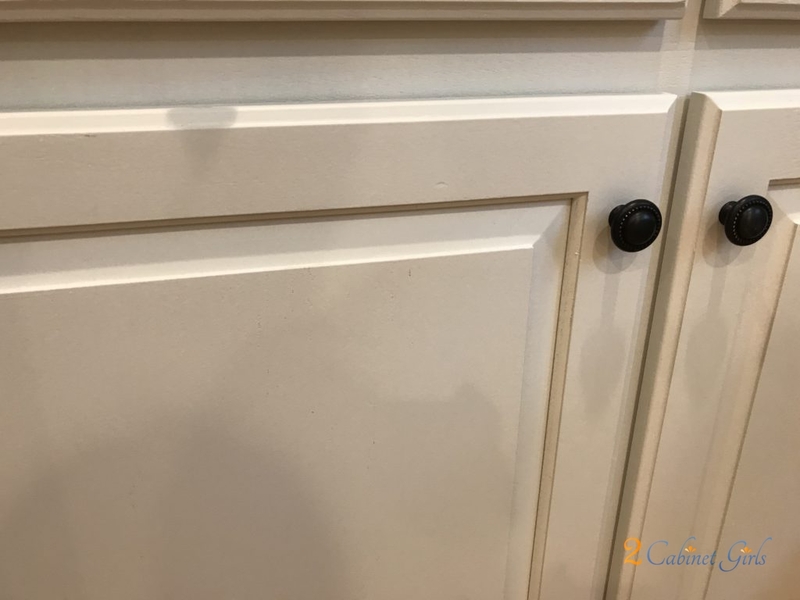 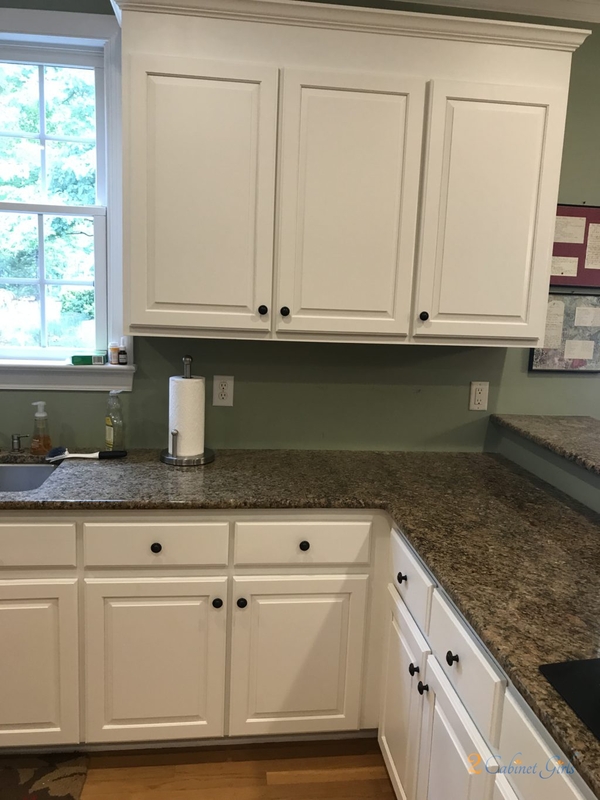 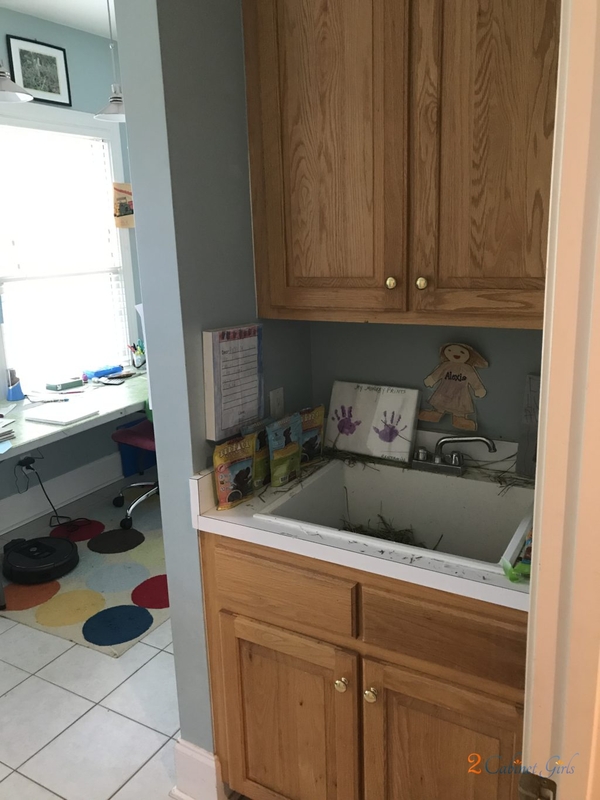 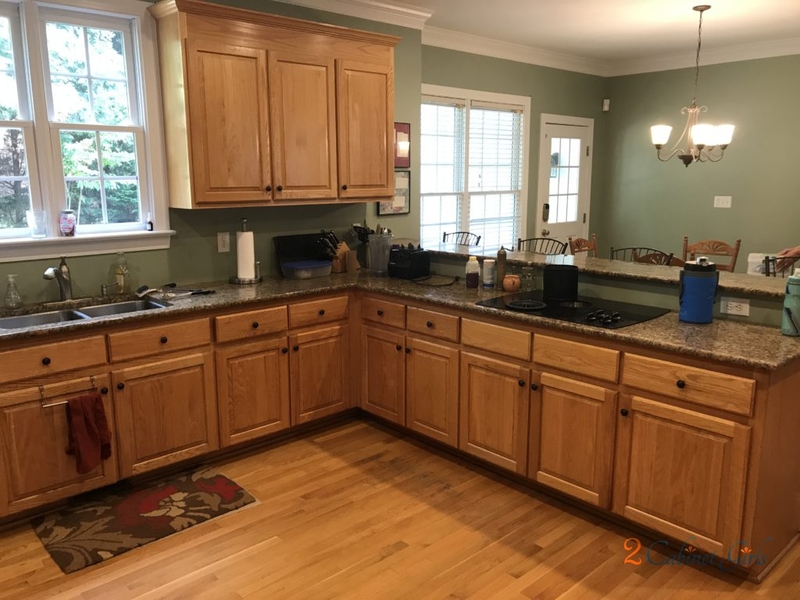 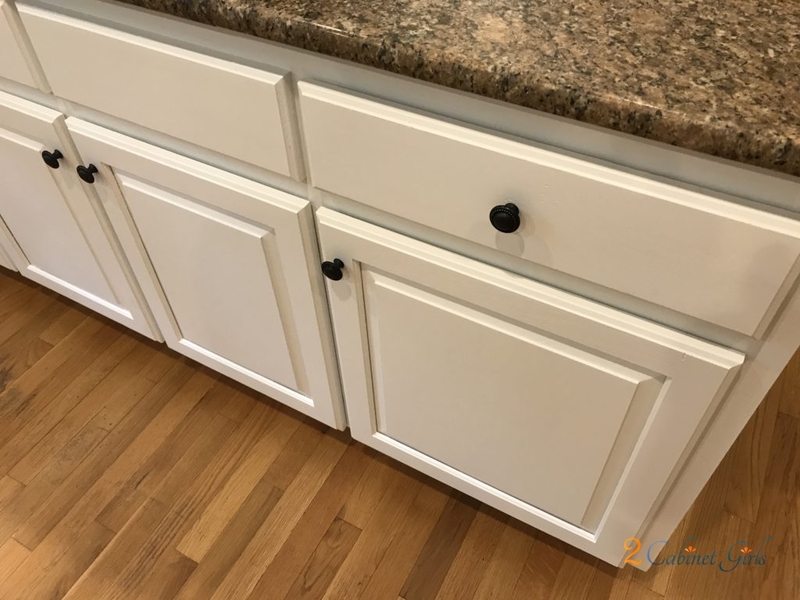 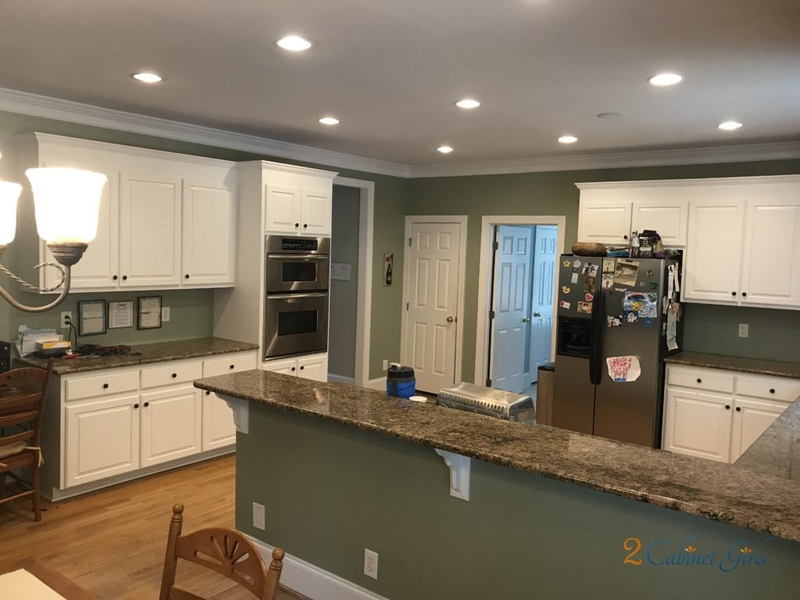 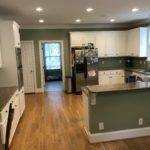 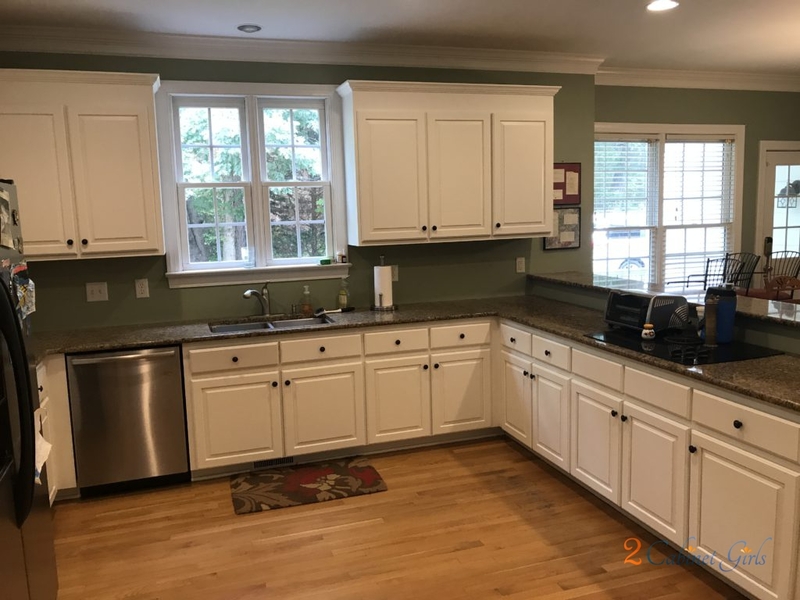 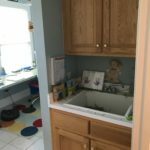 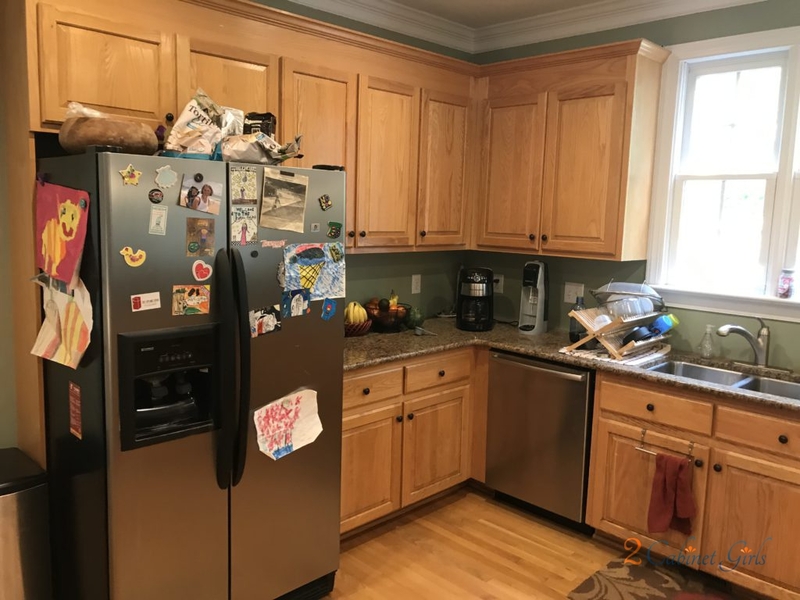 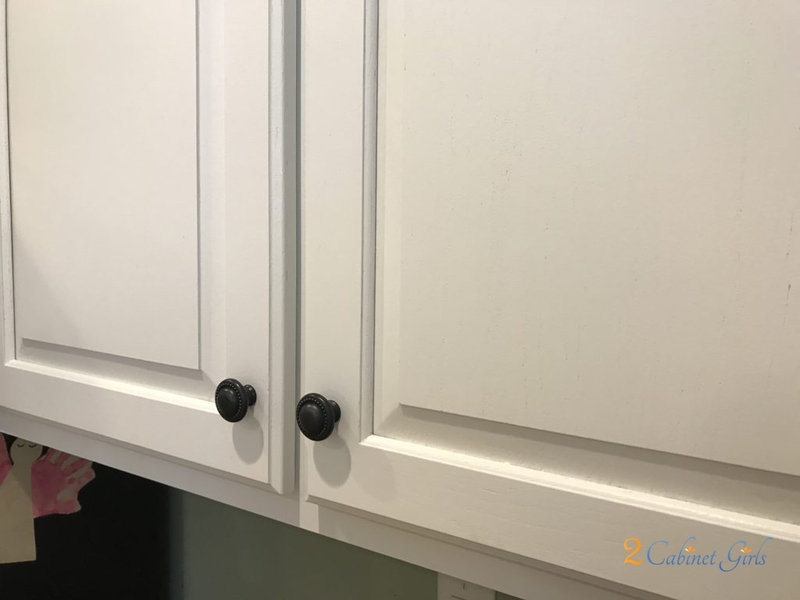 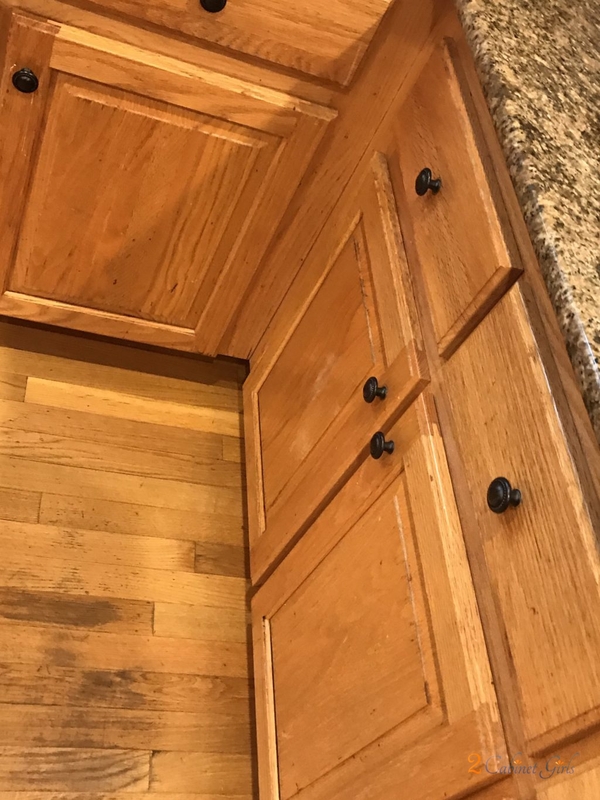 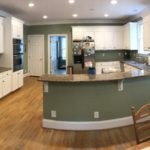 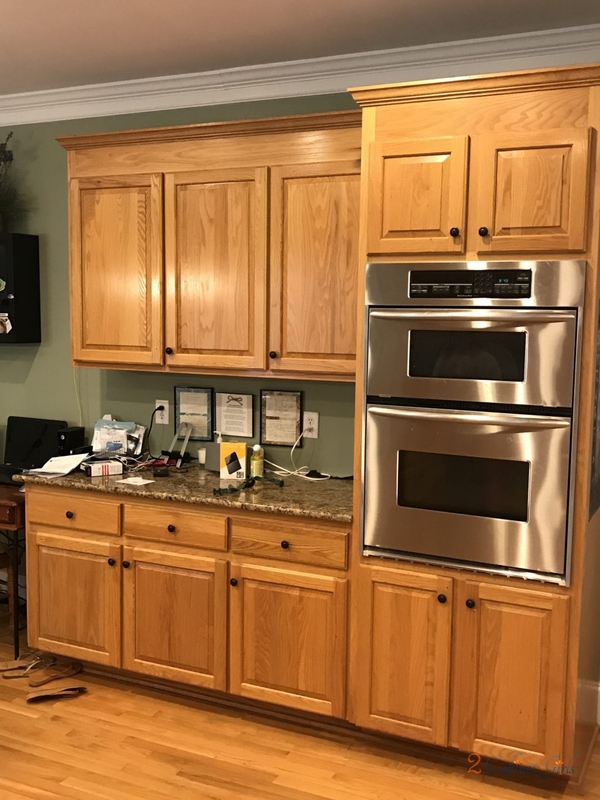 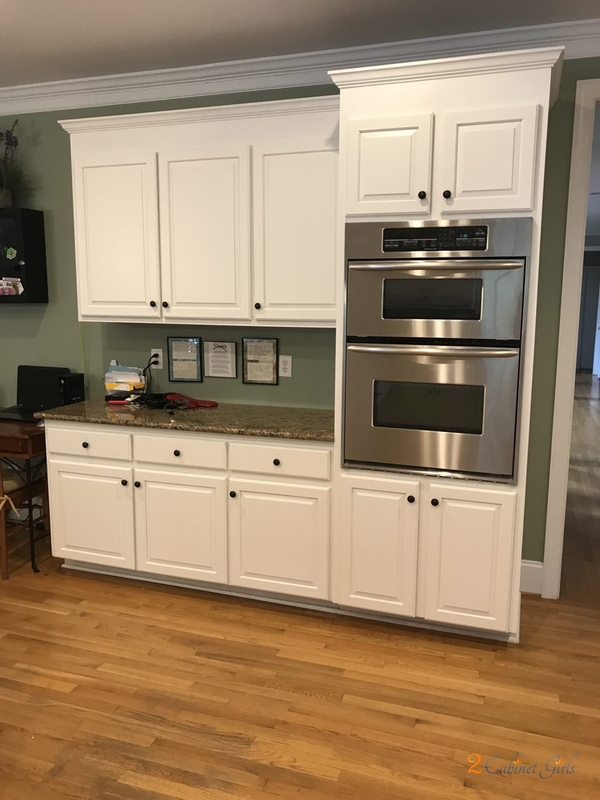 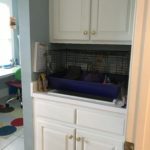 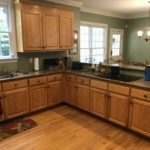 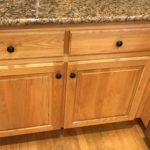 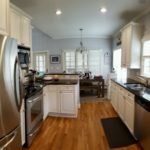 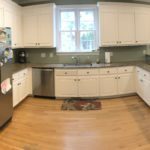 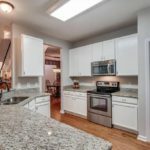 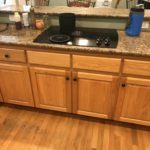 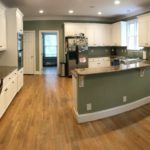 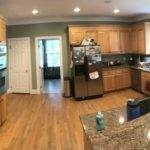 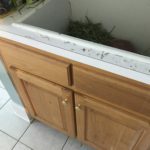 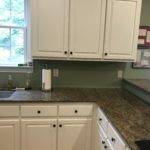 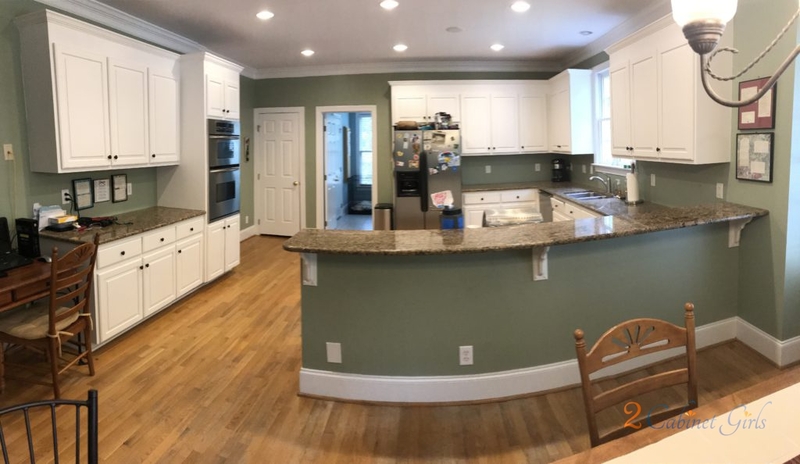 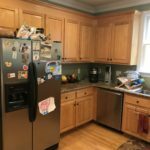 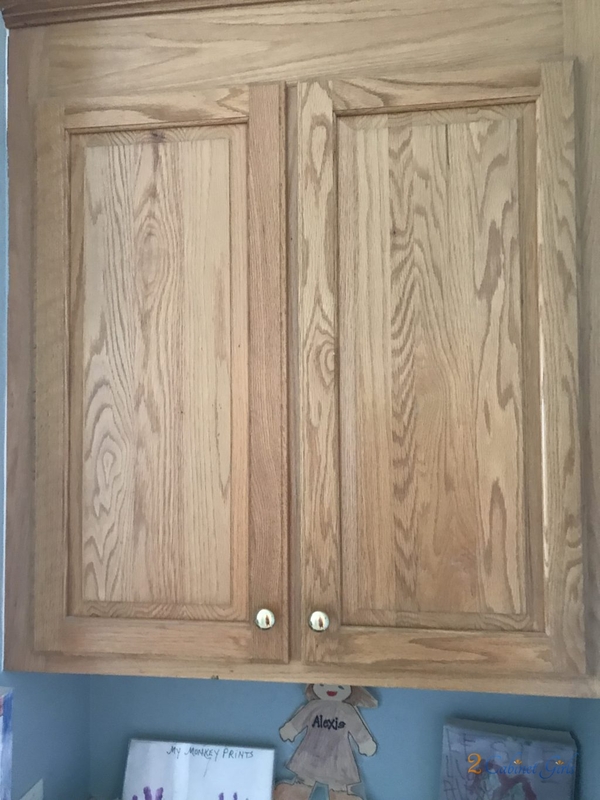 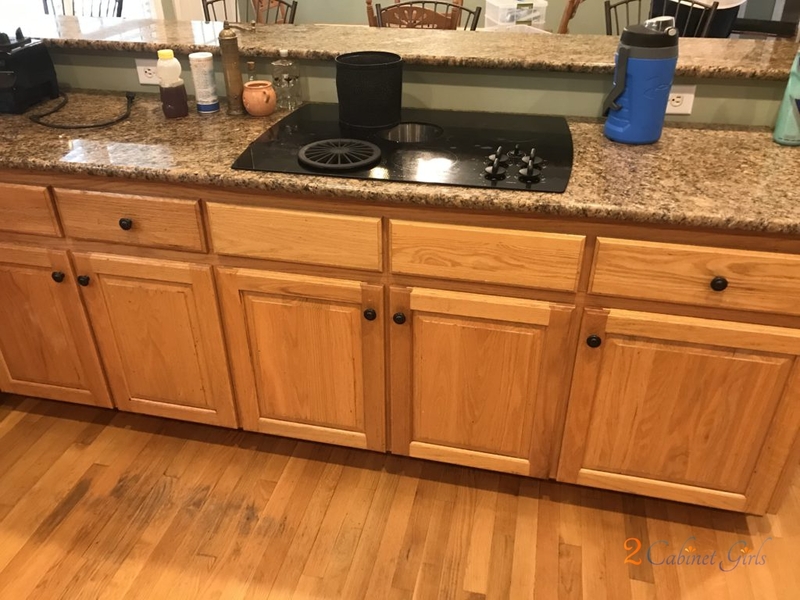 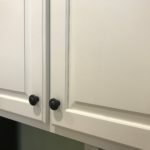 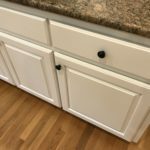 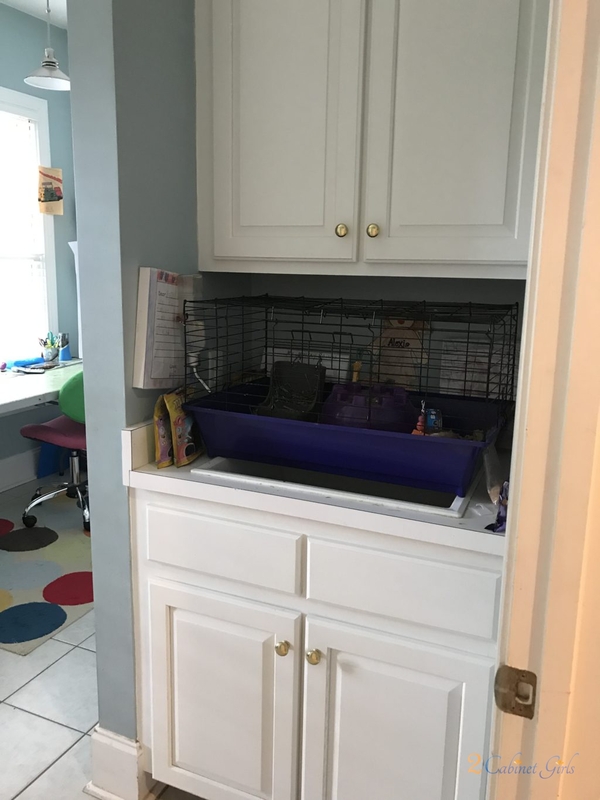 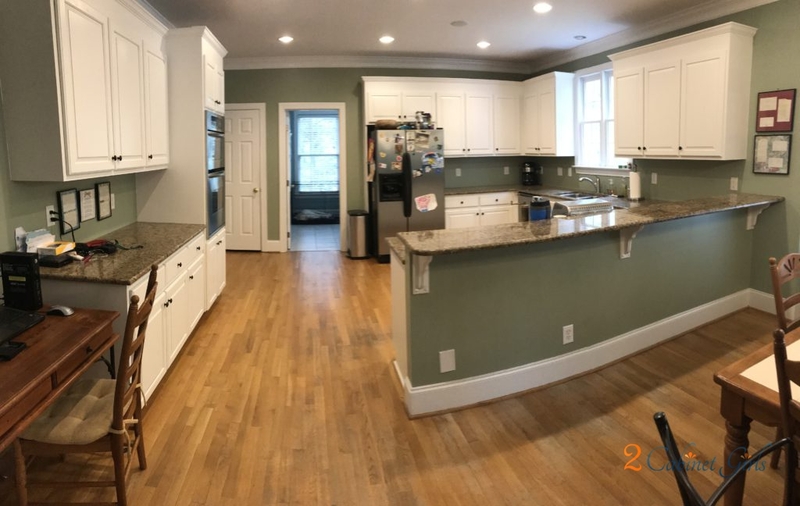 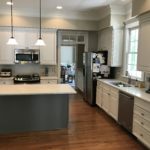 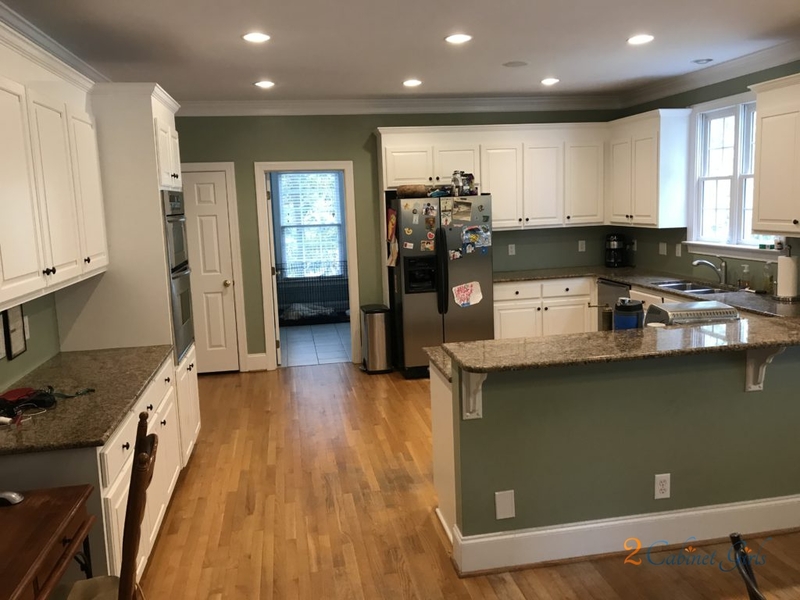 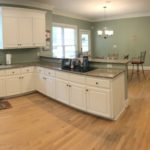 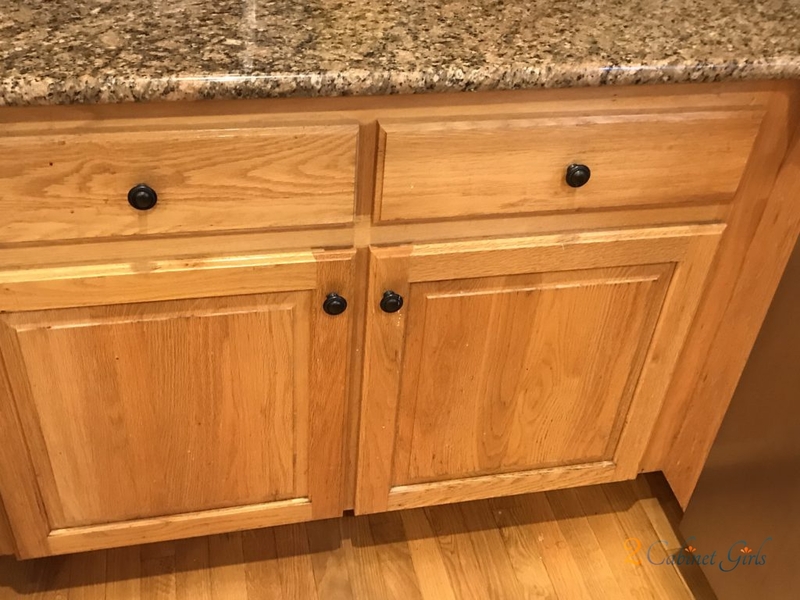 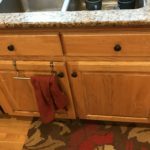 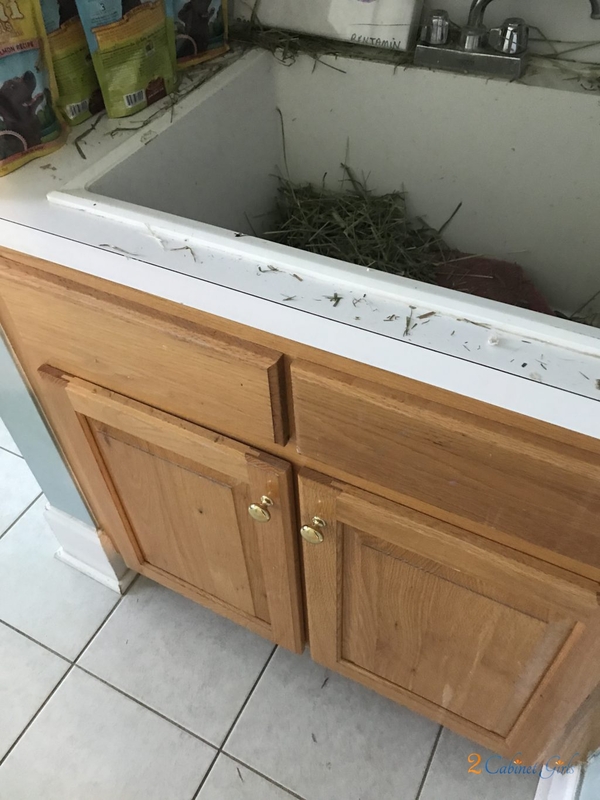 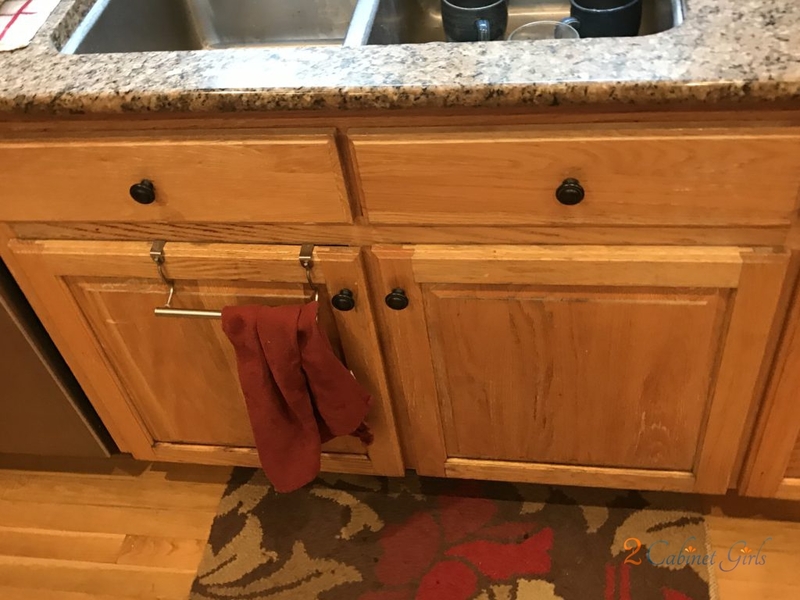 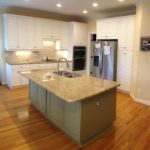 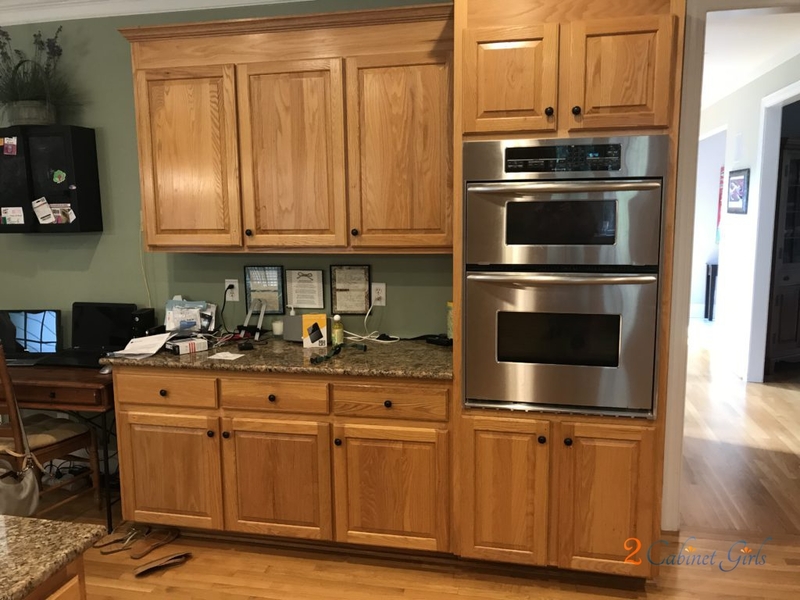 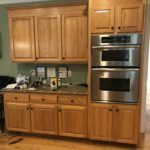 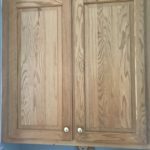 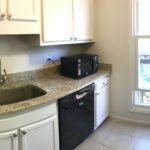 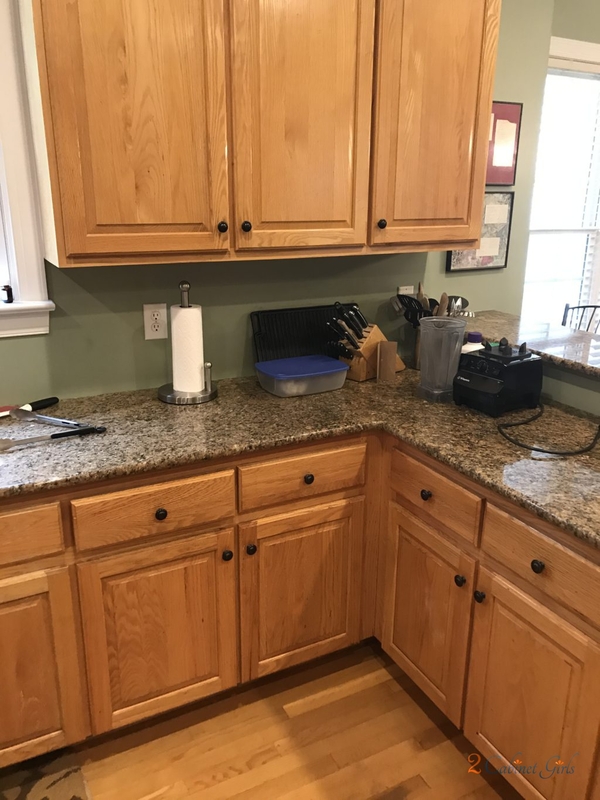 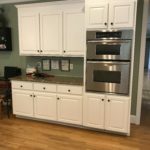 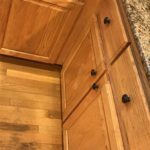 The oak cabinets in this kitchen and mud room were still structurally sound, they just needed a modern update. 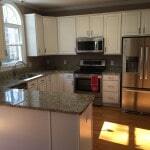 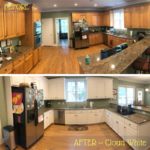 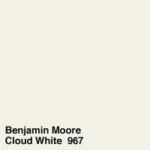 Benjamin Moore Cloud White was the winning choice to help lighten the space. 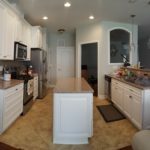 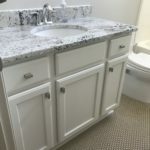 Now they not only blend with the trim and make the room feel more cohesive, but they also stand out from the floor rather than blending in.